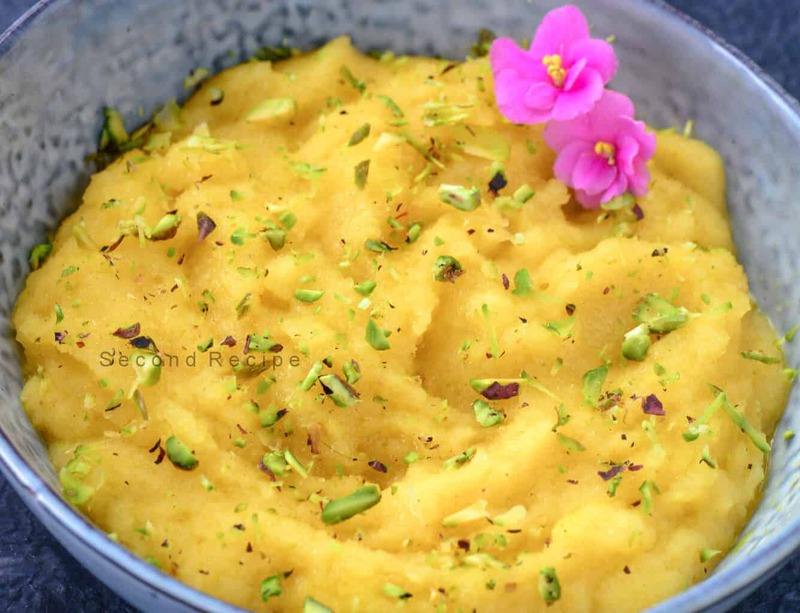 Sheera or halwa is a recipe close to our heart since childhood.It is one of the earliest meals as an year old babies.This sweet is also mandatory during any pooja or hawan.You can make it from both sooji or semolina or wheat.Add various fruit flavor like strawberry,mango or pineapple to make variations to sooji recipe.This sweet is a wonderful way of having pineapples.You also use less sugar as they are already juicy on their own. Note: Pregnant women should avoid pineapples.This is a postpartum recipe.Check with your practitioner in case of any concerns. Soak strands of saffron in some water and let it rest for 10-15 mins. 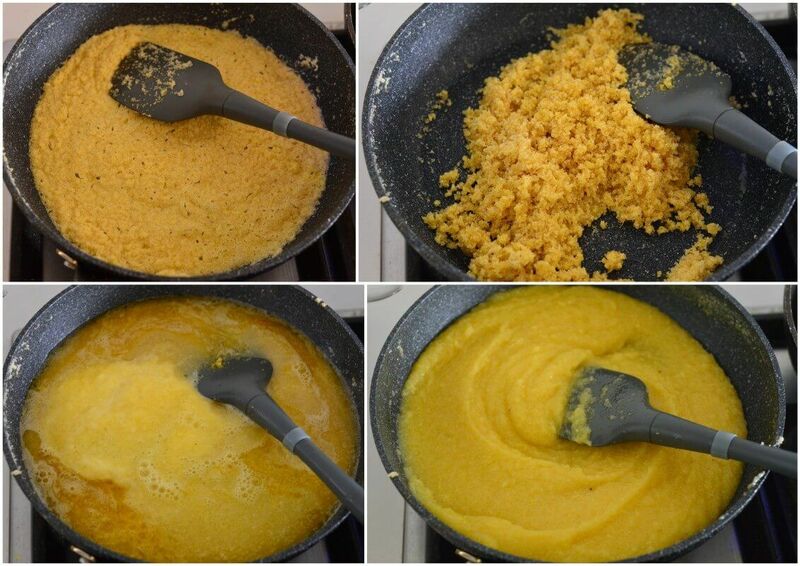 Meanwhile,dry roast semolina in a pan.Keep stirring so that it doesn't burn. Add ghee to this and mix well until brown. Add cardamom powder,sugar and saffron mixture. Now add the water and crushed pineapple. Stir continuously until you get a halwa like consistency. Garnish with more nuts as per your taste. Serve hot as a dessert or with poori fried flat bread and potato curry for breakfast. Click here to read more Maharashtrian recipes.